Chichester proved a “long trip too far” for Deal as they bowed out of this year’s FA Vase at the second round stage on Tuesday. Following Saturday’s postponement because of a waterlogged pitch the re-scheduled midweek fixture saw the Hoops endure traffic problems en route to west Sussex which manager Derek Hares said afterwards had damaged his team’s pre-match preparations. 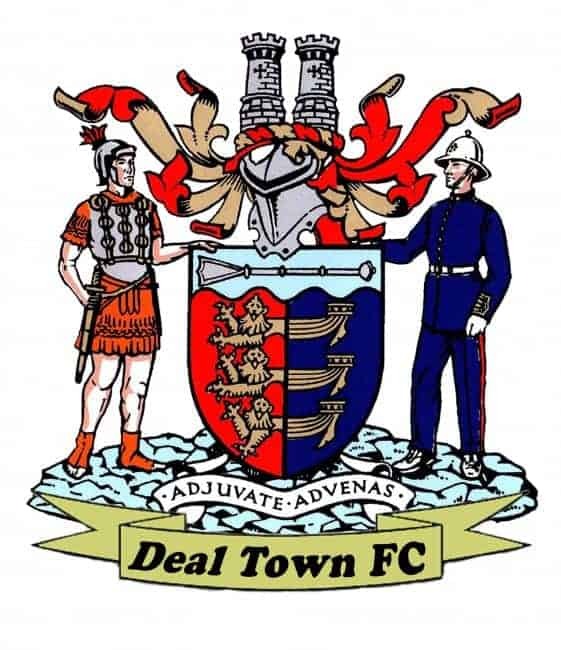 That said, Deal would still have needed to be at their best to contain a Chichester side who showed why they have scored 43 goals in 16 league games this season with some impressive attacking football. The Hoops were under pressure right from the start and, after Dave Herbert had volleyed a first minute chance over the bar, the “Chi” took the lead with 12 minutes gone. Dan Hegarty’s far-post cross was headed back across goal by Herbert for Scott Jones to score with an acrobatic overhead kick. That was all the encouragement Chichester needed to keep bursting forward and the Hoops’ defence had to show some familiar resilience to prevent further damage before the home side broke through again just past the half hour mark. Again Hegarty was involved, this time sweeping Josh Clack’s cross past James Tonkin on the half-volley and, with the Hoops unable to create few openings at the other end, they were happy to reach half-time with just a two-goal deficit. The second half, however, was much more evenly contested with Deal forcing a series of early corners to remind Chichester that the tie wasn’t all over yet. But the Hoops were unable to find the goal that would really give them fresh hope and, as the half wore on, Chichester again started to create openings and they wrapped up their place in the next round with an 89th-minute Clack penalty after Tonkin had brought down Jones in the area. Deal: Tonkin, Paxman, K Smith, Hark, Butcher, D Smith, Hill, Miller (Alexander 60), Scott (Brisley 58), Coyne (Zureiqi 75), Wilson.